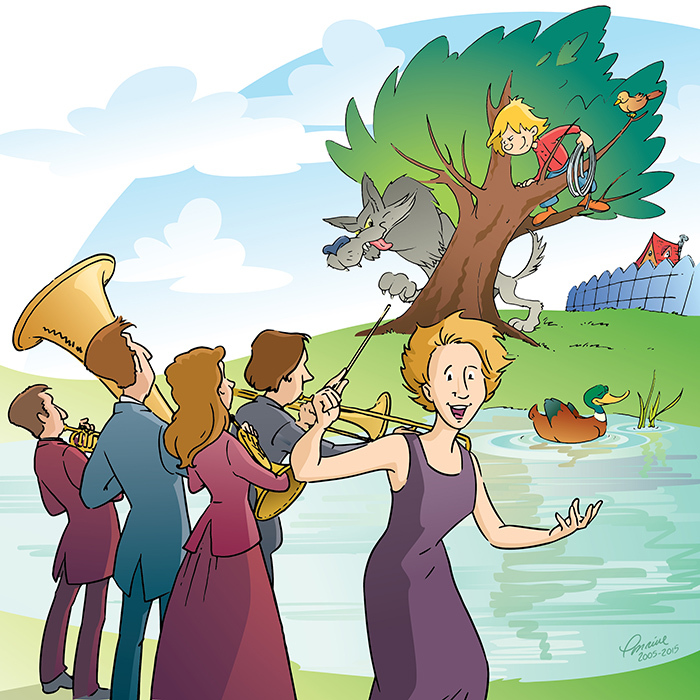 Based on Sergueï Prokofiev’s musical tale. 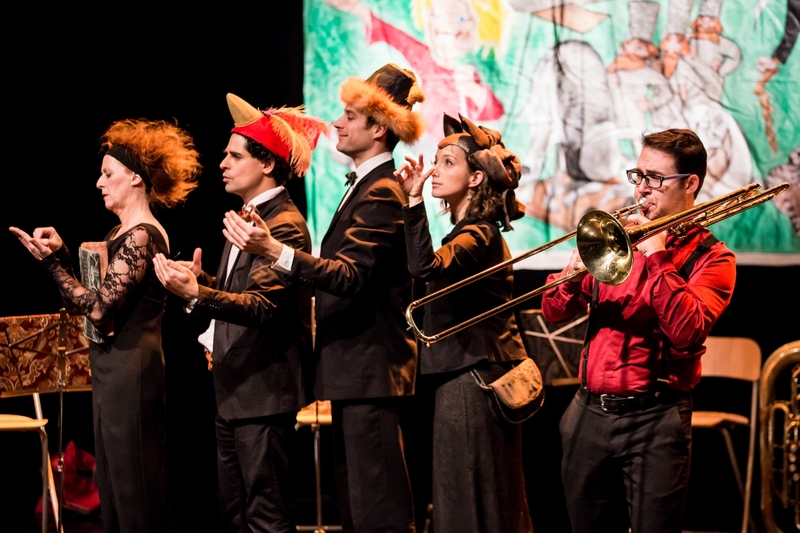 For this show, a brass ensemble replaces the orchestra to bring this popular tale to life in their very own way : they playfully introduce you to the secrets of these thundering wind instruments. 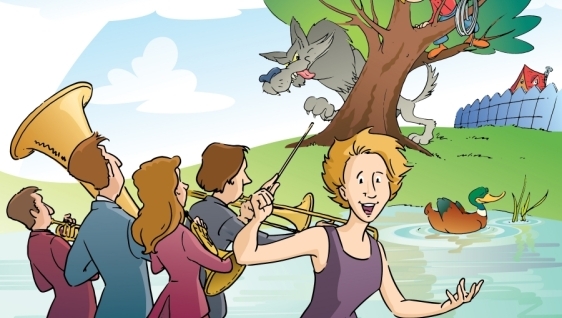 The sounds of trumpets, the French horn, the trombone, and the tuba, bring to life the characters of the brave Peter, his grandfather Hubert, Carlos the cat, Edward the duck, Julie the magpie and the big bad wolf. 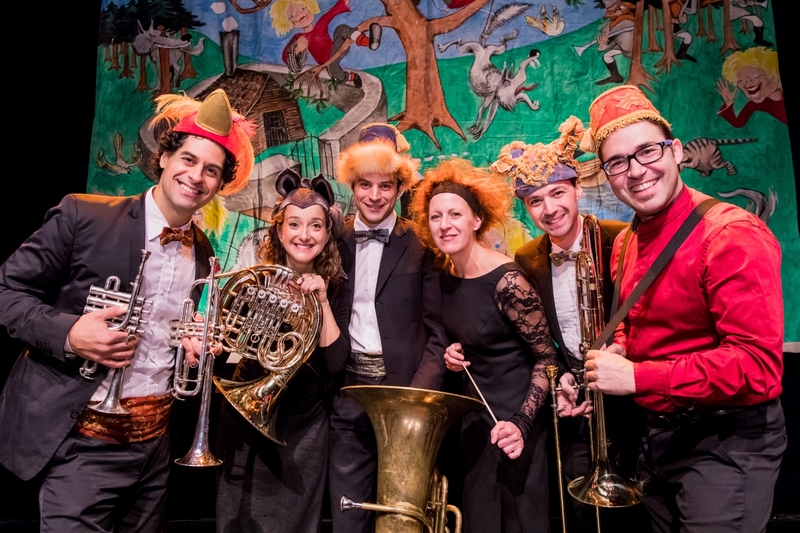 In this forest, the rhythm of brass instruments resonate Peter’s quest. In the company of his trusted friends, the fearless Peter daringly sets out to capture the wolf in his mission to become strong and brave.